Over the last four years, no force in the NBA has been as powerful as the Golden State Warriors. On an individual level, no one plays at the same level as LeBron James, but the Stephen Curry-led Dubs have taken home three of the last four Larry O’Brien trophies, and are heavy favorites to defend their crown once again this year. While Kevin Durant has won the last two Finals MVP awards, Curry is the straw that stirs the proverbial drink that is the Warriors. Not only is the baby faced assassin the top point guard in the league, but he is the face of Under Armour’s basketball label and their only signature athlete with a line worth boasting about. Joining the ranks of the UA Curry line is this brand new Bay Area-friendly “The Town” color scheme of the UA Curry 5 with Volt detailing for a refreshing reprise from its nearly tonal upper, reflecting the home and away jerseys of the Warriors. 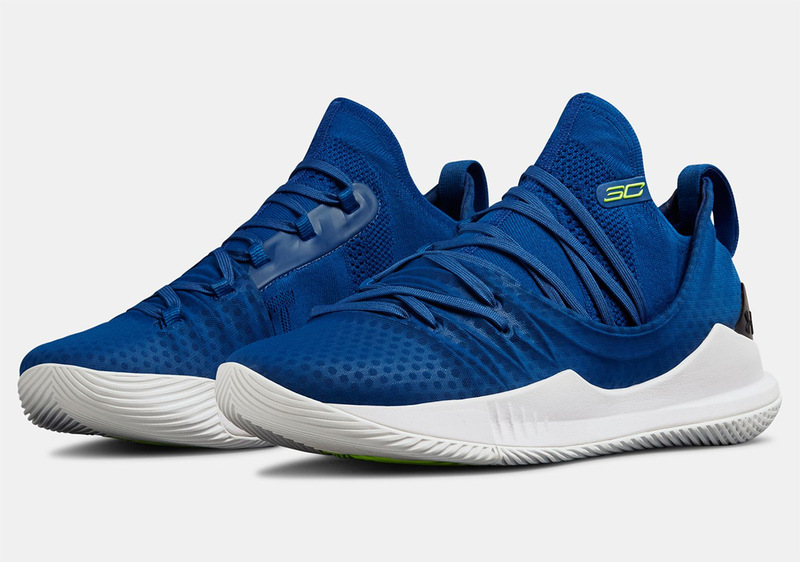 The Curry 5’s unique lacing system optimizes the Chef’s lockdown on the court, while its performance-engineered outsole improves traction on the court, helping one of the league’s top ball handlers remain in control at all times. Enjoy an official look at the newest UA Curry 5 below as well as a where to buy list that will help you secure your pair on October 12th.